"The screaming was coming from the St Manicus chapel...with measured and reluctant haste Julia turned in its direction as she came around the corner, she saw a fat middle-aged woman holding on to the edge of the font at the back of the chapel. Julia Smiths first day of work in the diocesan office of St Manicus did not unfold as she might have hoped. 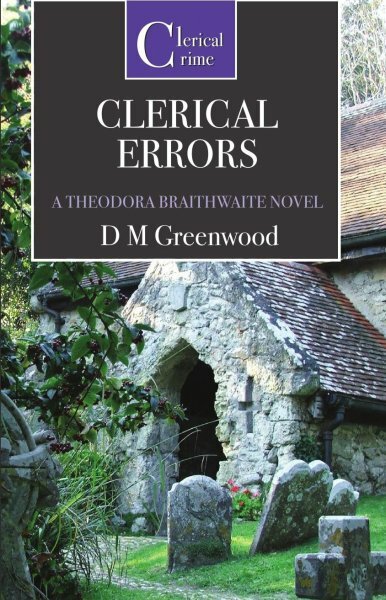 Confused by the ecclesiastical intrigue of the Dean and Chapter, the shocked Julia is taken under the wing of the young deaconess, Theodora Braithwaite." Julia Smiths first day of work in the diocesan office of St Manicus did not unfold as she might have hoped. Confused by the ecclesiastical intrigue of the Dean and Chapter, the shocked Julia is taken under the wing of the young deaconess, Theodora Braithwaite.